MASTERFUL STROKE OF ARTISTIC GENIUS, LIFETIME ADVERTISING DEPARTMENT. 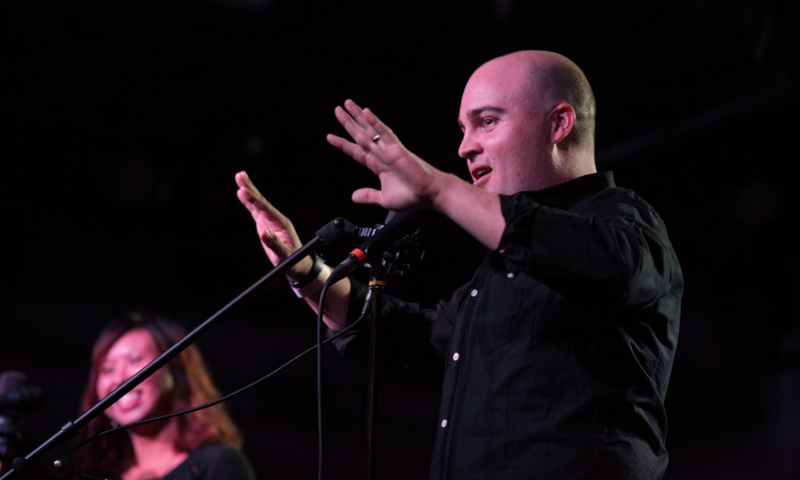 SIMPLY MASTERFUL. You can’t imagine how happy I was when I was going through my daily cat owner foibles message boards and saw this advertisement in the sidebar. “The Craigslist Killer” FINALLY coming to a Lifetime television station near you. I’m certain that with the quick, ripped-from-the-headlines turnaround of Lifetime’s crack squad of writers and healthy stable of actresses, this movie is going to be a sure favorite for years to come. But even those in the movie biz gotta give it up for the Lifetime Advertising Department. Well done. Touchee. Bravo. Majesty. They could’ve phoned it in, OH THEY COULD HAVE AND YOU WOULD HAVE LOVED THEM FOR IT. They could’ve had one of the main heroines of the film, standing at a slight angle with a shadow covering one side of their profile, perhaps with the also-half-shaded villain standing behind her, TOTALLY MENACING, with the words “CRAIGSLIST KILLER: BASED ON YET ANOTHER WE COULDN’T MAKE THIS UP IF WE TRIED AND BELIEVE ME WE TRIED TRUE STORY, AT WHENEVER TIME” and the dozens and dozens of well-read and not-insane fans would flock like a thunder rolls. But they phoned nothing in. THE//CRAIGSLIST.KILLER. It’s like a real website, you see. Look at the site you’re looking at now. Notice the http://. THAT’S A SLASH SLASH, LIKE A STABBER STABING SOMETHING TWICE! And instead of a space between Craigslist and Killer, they put a dot! Remind anyone else of a little something called DOT COM, or DOT ORG, or DOT EDU, or DOT GOV? Me too. 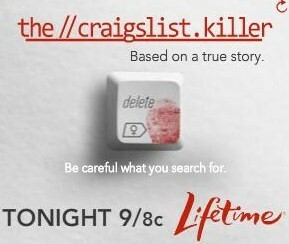 I just wonder if the real Craigslist Killer ever had a bloody finger, and then used his delete button. I bet the answer is yes. And I bet it CHILLS HIM TO THE BONE TO SEE THIS ADVERTISEMENT EVERYWHERE. Has Lifetime set their advertisement bar too high though? Probably, but you’d like to think that the group that could muster the genius of this ad campaign will be able to figure something out for their next movie about a woman or women getting hurt and stuff. And the title is in red. RED. Like the color of blood. They put Lifetime in RED too. That movie is going to be a total bloodbath.